And it's located in Australia. Get your Unfold app ready 'cause this crystal "castle" in Australia is begging to be Instagrammed. 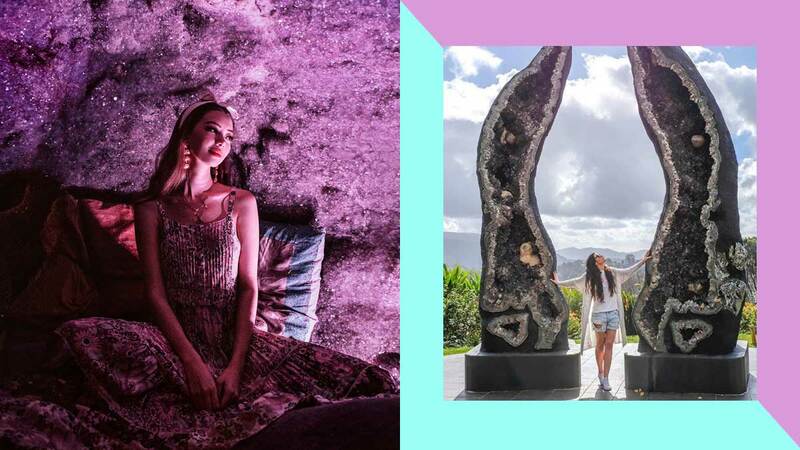 Located 40 minutes from the Gold Coast Airport is a crystal haven that'll blow your mind (and your notifications). The Crystal Castle is a botanical garden that's home of the world's largest crystals. It's a space for those in need of peace and tranquility. They have daily guided tours through crystals, gardens, and meditation experiences. Don't forget this giant Rose Quartz crystal in the Reflexology Path. Inside the Crystal Castle is the Lotus Cafe (where they also serve vegan and vegetarian options). Every corner of this garden is stunning.